The SnowEx aircraft fly in “lines” above field sites set up on Grand Mesa, Colorado. 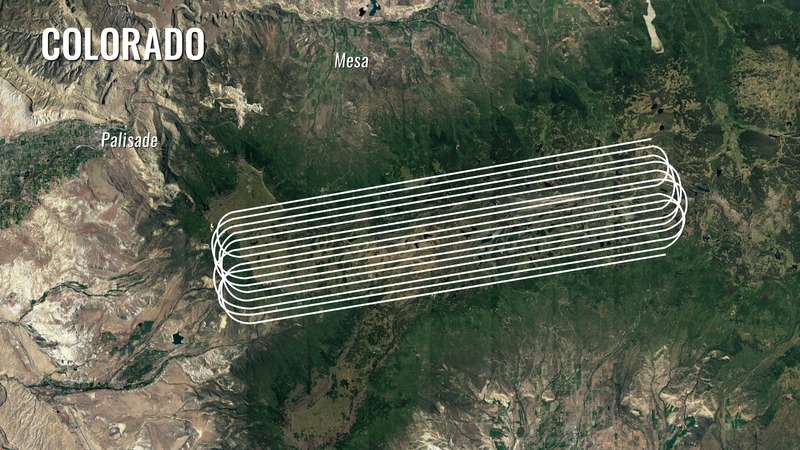 Here, a satellite image of Grand Mesa in summer shows the topography with the flight lines superimposed on top. Eugenia De Marco loves puzzles. Her face lit up and she grinned broadly when asked what it was like to figure out how to get NASA instruments that measure snow on the ground attached and running on a Naval Research Lab P-3 plane. As a mechanical engineer at NASA’s Goddard Space Flight Center in Greenbelt, Maryland, De Marco is part of a team that designs science instruments for airborne missions that study Earth. Many of these instruments are early versions of what may one day fly on satellites. For the past year, she has been working with a program called SnowEx, a five-year airborne campaign that is trying to figure out one of the most challenging puzzles in Earth observation: how do you measure from the air the amount of water in snow that’s on the ground? Snow on the ground is easy to observe from space or the air, but not so easy to measure how wet or dense it is, and thus how much water may flow downstream into reservoirs and agricultural fields when it melts in the spring. One instrument is unlikely to be able to give scientists the observations they need, especially on rugged mountain slopes whose steep angels can complicate things. But many instruments, whose observations fit together like puzzle pieces to illuminate the bigger picture, just might. 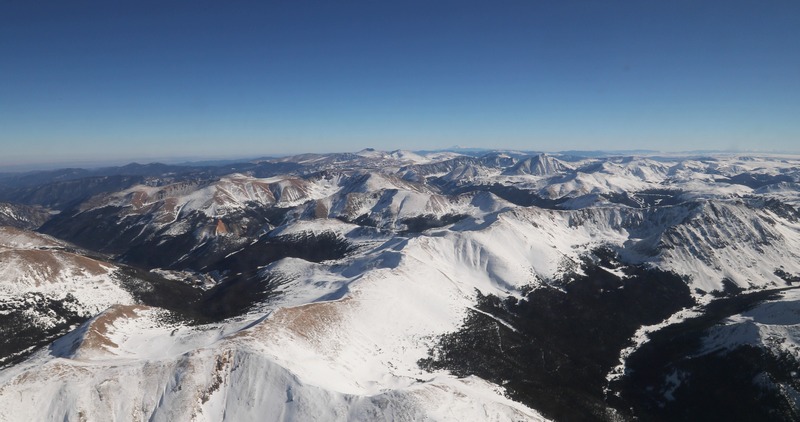 Five of those instruments were De Marco’s responsibility aboard the Naval Research Lab’s P-3 aircraft this February during SnowEx’s first trip to their testbed, the snow-covered Grand Mesa and Senator Beck Basin outside Colorado Springs, Colorado. 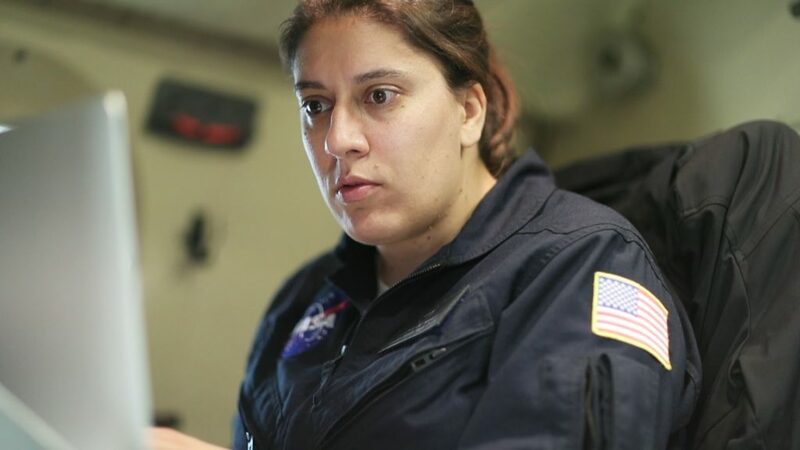 As the lead integration engineer for the aircraft, her job during the flights was to coordinate with the pilots and the instrument scientists to make sure that each instrument collects the data it needs. Engineer Eugneia De Marco consults with instrument scientists Alex Coccia during a SnowEx research flight aboard the Naval Research Laboratories P-3 aircraft. Feb. 16 2017. “The pilots will call down to me and usually, in general, to everyone, ‘We’re this close to our target,’ and then I make sure everybody’s ready to go and then science starts happening. In the meantime, I keep track of every time we hit the line and start and stop [data collection],” she said. The “line” she mentions refers to the pre-determined path the airplane flies along so that it will fly above ground stations set up by scientists below to measure snow directly. Dozens of researchers from a variety of universities and government agencies were camped out on Grand Mesa and in Senator Beck Basin, going out each day on snowmobiles, skis or snow shoes to dig snow pits or set up other sensors directly on the snow in the mountains. On a given flight, the P-3 aircraft flies 12 lines that lasts from three to ten minutes each. One instrument that looks at how light scatters after bouncing off snow on the ground actually needs to fly in a circle around a ground station so it can capture all the angles. Sometimes problems with the instruments crop up, usually small glitches that can be fixed on board, and De Marco will rejigger the flight pattern so when the instrument is ready to go again, they can still fly over that instrument’s line. Weather, however, is the biggest thing that can impact a flight, said De Marco. Clouds get in the way of some instruments’ observations, so the plane may try to fly above or below them depending on the instrument. Choppy air can complicate flying over the lines. When planning flights, De Marco and the science team try to fly in good conditions, but with weather over the mountains difficult to predict, they often go out in less than ideal weather and adjust their flight plan as they go.